Thanks to your feedback, Swimia has become in just several months one one of the most important websites of swimming pools. Here you could have all of the info we know about Hallenbad - Aue, in Aue. 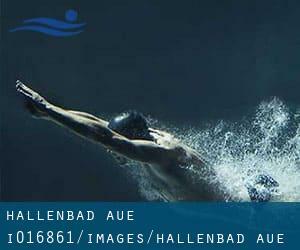 Don't forget you can also promote this pool so Hallenbad - Aue will appear the first of Aue, or even the very first of your country, contact us to know much more. Swimmers like you reported 25 meters, Indoors. Phone number and e-mail address are number for this Swimming Pool. Updated on 2019 Friedensstraße 1 , Kamenz , GERMANY (Postal Code: 01917). Swimmers like you reported 25 meters, Indoors. Phone number and e-mail address are number for this Swimming Pool. Updated on 2019 Am Sportzentrum , Riesa , GERMANY (Postal Code: 01587). This great and large sports center lets professional swimmers like you enjoy Olympic size, 6 lanes, Indoors. Additionally, within these facilities you can try 25 meters, Indoors. Phone number and e-mail address are number for this Swimming Pool. Updated on 2019 Berufsschulstraße 20 , Oschatz , GERMANY (Postal Code: 4758). Among all the activities provided by the center, for anybody who is interested in swimming you are going to enjoy 25 meters, 4 lanes, Indoors. If you have to contact this Pool, email address and phone number are both number. Updated on 2019 Schweigstraße 26 , Weisswasser , GERMANY (Postal Code: 2943). This sports center offers 25 meters x 12.5 meters, Indoors. For this Pool, only phone number is number here. Updated on 2019 Am Gondelteich 1 , Hoyerswerda , GERMANY (Postal Code: 02977). This sports center provides 25 meters, 5 lanes, Indoors. Contact information for this Swimming Pool such as phone number and email address are number. Updated on 2019 Am Lautengrund 5 , Marienberg , GERMANY (Postal Code: 9496). Swimmers like you reported 25 meters, Indoors. Phone number and e-mail address are number for this Pool. Updated on 2019 Götzingerstraße 12 , Neustadt (Saxony) , GERMANY (Postal Code: 1844). This sports center delivers 25 meters, 4 lanes, Indoors. Contact information and facts for this Pool just like phone number and email address are number. Updated on 2019 Ziegelstraße 79 , Werdau , GERMANY (Postal Code: 8412). Swimmers like you reported 25 meters, 4 lanes, Indoors. Phone number and e mail address are number for this Swimming Pool. Stadtbadstrasse 14 , Thalheim , GERMANY (Postal Code: 09380). Swimmers like you reported 25 meters, Indoors. Unfortunately we do not have the email address of this Pool, but we can give you the phone number. Bitterfelder Str. 42 , Bad Dueben , GERMANY (Postal Code: 4849). Swimmers like you reported 25 meters, Indoors. Unfortunately we do not have the e-mail address of this Pool, but we can provide you with the phone number. This sports center offers 25 meters, 4 lanes, 1.8 meters - 2 meters depth, 1.8 meters - 2 meters depth, Indoors. For this Pool, only phone number is number here. Updated on 2019 Zörbiger Straße , Bitterfeld , GERMANY (Postal Code: 6749). This sports center provides 25 meters, 5 lanes, Indoors. Contact details for this Swimming Pool for instance phone number and email address are number.